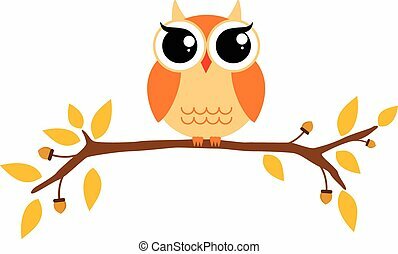 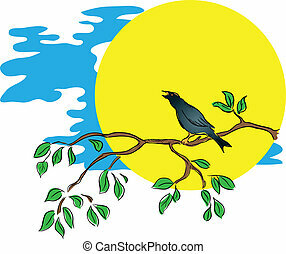 Bird on a branch. 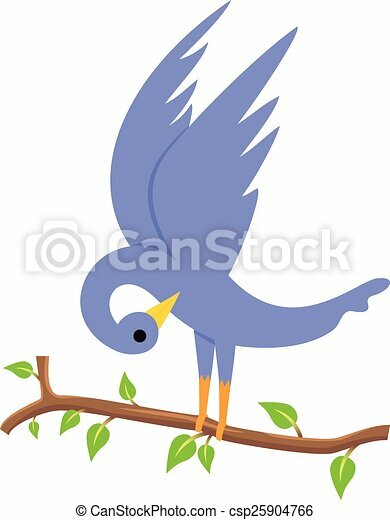 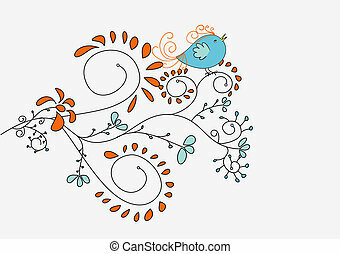 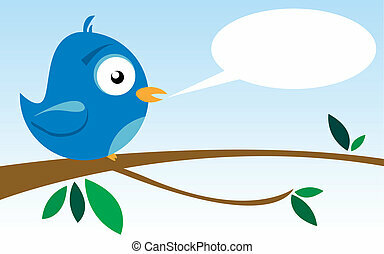 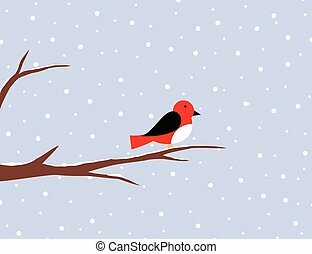 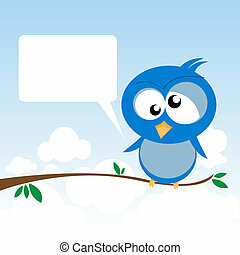 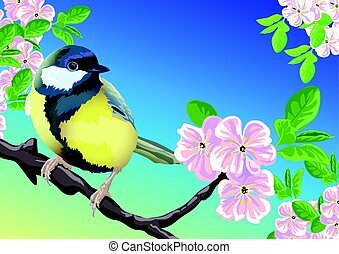 Illustration of a blue bird on a leafy branch. 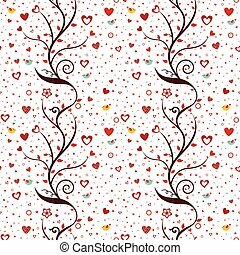 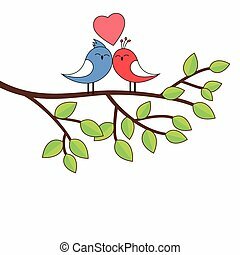 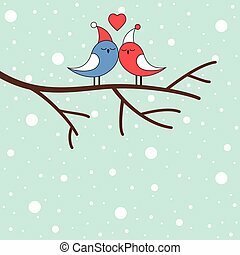 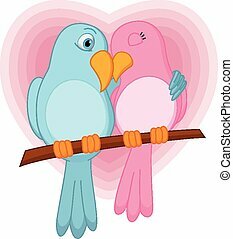 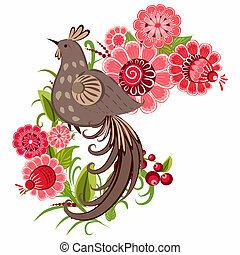 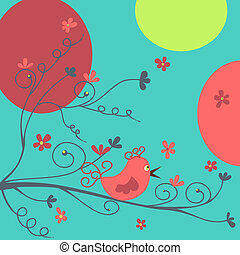 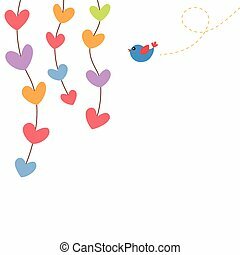 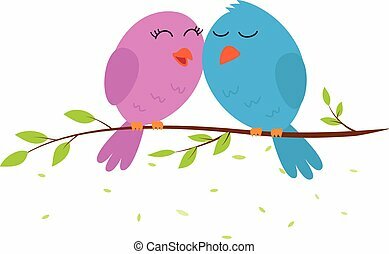 Illustration of colorful hearts hanging on a thread and a cute bird flying. 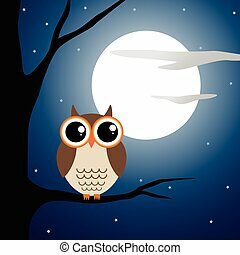 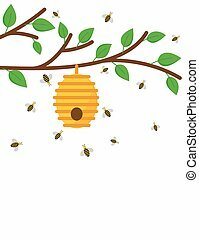 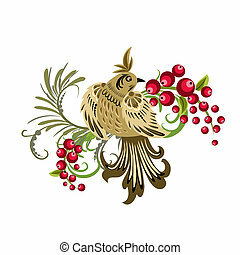 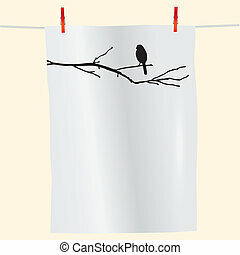 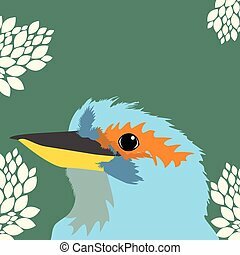 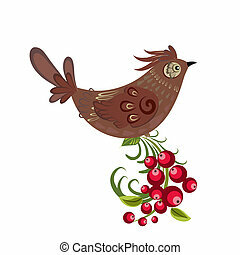 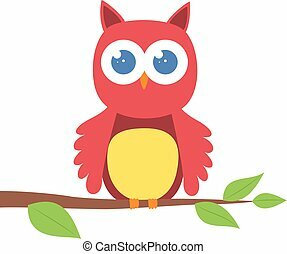 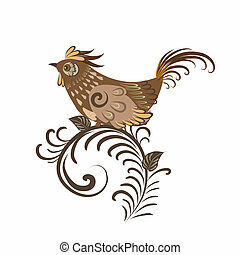 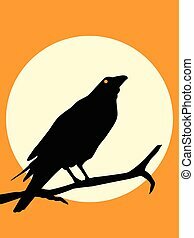 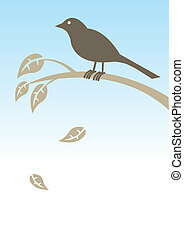 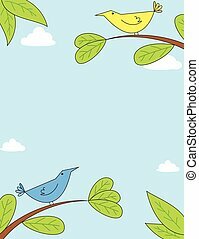 Illustration of a birds face on leafy background.